to all the world has come! This is a post that has been sitting in the queue of my heart for a long time. You could say that it is long overdue. I have wrestled with whether I should write again about losing babies and the longing to have more children. I want to be faithful to the story that God has given me, and I hope to encourage those of you who have expressed how these posts have been helpful to you. I remember walking into an advent season not knowing if there would be a little heart beating on the other side of Christmas. That was four years ago. Four years. It is a long time to wait. And much of our journey has been recorded here. One part of our story that never made it to the blog was our attempt to adopt a little girl from Russia. Almost two years ago we started the pile of paperwork. Six months later our home study was completed, our passports were ready and we were waiting for a placement. Another three months past and the whole thing got thrown up the in air and came down in pieces. That door has shut. And if you or anyone you know has gone through the adoption process you know how much hard work, heartache and hope each one of those brief sentences encompasses. When it was clear that this adoption was over, it became very, very black, and very, very quiet. I remember last winter feeling like the Lord was so silent. At so many other points in this journey, I had felt his nearness and comfort. This was the blackest part of the night. It says in the Proverbs that “hope deferred makes the heart sick.” My heart was sick. I could not understand why he would lead us down this path only to hit a dead end. I remember telling my friend with fists clenched that I was going to keep kicking at his door until he answered me—it wasn’t that I had to have what I desired, it was that his silence was unbearable. About this time one of our pastor’s wives spoke at our moms group. She told the incredible story of her daughter’s adoption from South America. Her story carried the same themes of longing and waiting, hope and disappointment, and even at times God’s silence. She explained that often when we are weary of our struggles, whatever they are, we want redeeming grace. Grace that will rescue us for our situation. She encouraged us not to disregard enduring grace. Grace that keeps us running to him. That keeps us crying out to the Lord. At the end of her talk, it was evident that though at times it appeared that God had abandoned them, he was indeed holding them and guiding them. God knew that this was to be our daughter and that she would go home with them. He also knew each heartbreaking disappointment and setback was in fact the very steps through which she would come home. She could not have been theirs without each painful part of their path. For the first time I saw that God wasn’t on the other side of the door I was banging on. He was on the same side as I was. He longed for the door to be open; He longed to be gracious to me. Had I not heard this mother’s story, I would not have seen the meaning of this verse so clearly. God longed for her and her husband to have their daughter as much as they did, but he knew that they had to walk through their long and lonely journey in order for her to be theirs. Isaiah 30:18 became the candle with which I walked that long, last dark months of this journey. I didn’t have any promises of or news of any more children, but I had something better. I knew that God was on my side. Oh, this post is so long overdue. I have crafted it in my mind too many times, and somehow it never makes it to the keyboard. I know many of you, if not all of you, already know, but I want to officially share the wonderful news that God has given us another child. We are hoping to meet this baby at the end of January. Before this pregnancy I thought if I was to get pregnant, I would be so enthusiastic and anxious for people to pray that I would tell everyone right away. 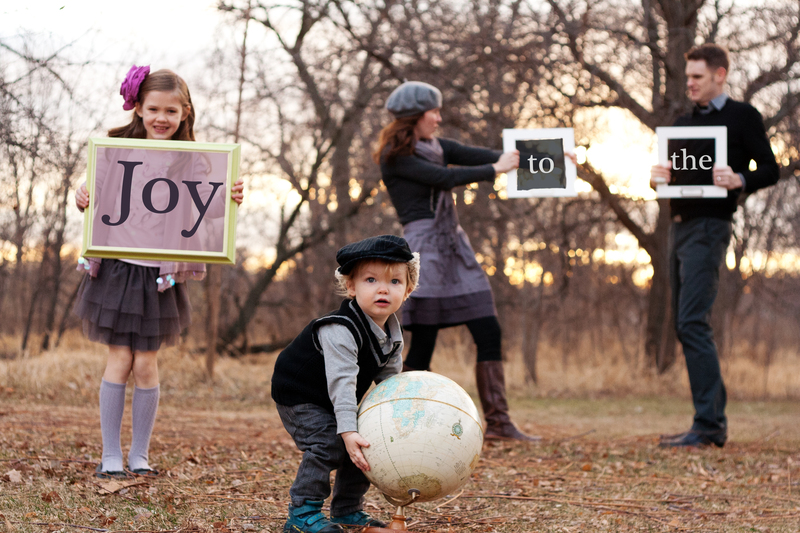 Then when we found out, I was overwhelmed with joy, but it got caught in my throat. I felt paralyzed. It was like I was holding a bubble in my hand and I didn’t dare move or breathe lest it burst. For so long we didn’t tell anyone. It was like keeping it a secret inside of me was keeping it safe. Slowly we began to tell people as we saw them. Summer slipped into fall and before I knew it my belly was making my announcement for me. One of my friends was overwhelmed as we told her. She looked up at me and said, “Rachel, you don’t understand. This isn’t just good news for you, this is good news for all of us.” And she’s right, this isn’t just my answer to prayer, it is an answer to many of your prayers as well. I don’t know all the reasons why we have endured this long wait or what purposes it has or will serve. I don’t know why at times the Lord was silent, but I do believe that he has longed for this baby to come to us as much as we have. Today, I’m 32 weeks along and home to very busy baby. I still have a hard time believing that this is really happening—that there is a sweet baby coming at the end January. After nearly four years of waiting, this pregnancy is going by remarkably fast! How can I already be 32 weeks? God is good, and we are praying that we will hold this little one soon. Nate and I feel so humbled by all the people who have been praying for us and especially that this little babe would join our family. Thank you so much for all your encouragement and prayers these past few years. Lord willing, there will be a new character in our story in the New Year! It was a little over a year ago that I was sitting on Heather’s couch watching the clock’s hand move from double digits to single digits. We had returned to her home that evening from our two-day trek across the dessert and desolate wasteland that separates St. Louis from Southern New Mexico. My cousin and her husband along with the four girls were sleeping upstairs while I waited to be reunited with my husband. I divided my solitude intermittently between inhaling paragraph’s of Carolyn Custis James’ Lost Women of the Bible and exhaling long gazes at this painting that hung between the two windows that would announce Nate’s arrival. Earlier that year, Heather had played Doula for her dear neighbor. The husband painted Heather this picture to thank her for her role in ushering in the life of their first child. To some it may appear odd that they would chose a painting of a coming storm to commemorate the birth of a new baby girl. The longer I gazed at this painting the more it appeared to be an allegory of childbirth. The first spasms that send their spidery fingers across a women’s belly are the dark clouds on the horizon hinting at the turbulence to come. The winds blow harder and harder moving the darkness closer. The body responds in fits and shudders, contractions growing stronger with each flex. Soon the spasms are rolling one top of the other like a whipping wind leaving the woman breathless and afraid. And when it seems as though the darkness is swallowing the world, the storm breaks open pouring out it’s furry, pushing down flashes of fierce light and screaming out peals of thunder. The ground is soaked; the limbs are ravished. Then there in the storm’s wake is a new sky, a new babe, drenched from the storm, but completely new. The sun peaks through the haze shining its rays on the bright, unseen skin. And as bright beams of colors cast their prism across the sky the now-distant storm fades away into the horizon. It dissipates until the awful memory is merely the frame the surrounds the light of the new birth. The more I stared at painting the more it appeared to be in motion. The clouds were rolling, rolling towards me. Cerulean and cobalt. Graphite and grey. The melancholic hues were tumbling beyond the frameless borders until I could smell the haze in my nostrils. That night I knew there was a storm rumbling within me, but I didn’t know what it was. The pains that I had felt peeling across my abdomen were growing in intensity, but I was ignorant to their cause. And here it was in front of me. The ominous clouds weighted with sorrow, shrouding the sun. And a white cloud, light with promise, kicking out its feet. Many days in the past year, I have closed my eyes and seen this image. The dark clouds rolling, coming with an unstoppable force. There is no shelter in the picture. There is no place to hide. There is no Savior holding out his mighty hands and declaring, “Storm be still.” The storm is coming. It is going to hit. The storm did come. And I got very, very wet. Drenched in fact. With that prayer she tethered me to a rock that that would not be swept away in the storm. The rains came down and the floods came up, but I was tied to a rock that stood firm. Being bound to a rock kept me from drowning, but it didn’t keep me dry. I felt the wind upon my face and my skin soaked in the rain. These storms in our lives are powerfully painful and it is easy to confuse this pain with defeat. It is easy to close our eyes in the darkness and fail to see the flickers of light. But there is hope beyond these shadows. This painting is redemptive. Like childbirth, on the other side of these contractions is life. I know that that this is not the last storm in my life. And I know that as I write this there are many who find themselves drenched in a downpour and others who see cloudy days on the horizon. Even now I stand on the edges and pray as the dark clouds gather ominously over my friend’s womb, where her baby’s heart beats too rapidly. I pray as the showers pour down on my young cousin whose organs have been devastated by E Coli. I pray that they would be healed, that they would comforted, that they would be filled with peace, but most of all I pray that their hope would in Christ. I interrupt this impromptu blogging spring break to bring you yet another quote. If you are going to all the trouble of checking this little blog, than the very least I can do is to give you something new to look at or in this case think about. And since I’m on “spring break,” I sharing another quote I’ve recently made friends with. The night before I read the pearl of wisdom somewhere at the bottom of this post, I was lying in bed trying to visualize the phrase, “sorrowful, yet always rejoicing.” This little power punch is popular at our church and it used to strike me to the side. I couldn’t quite absorb the intensity or the harshness of this statement. Honestly, I didn’t really like it and I didn’t want to like it. And now, I can’t think of a better description of my state of being. Somehow, miraculously in the past year I have been molded into that statement. I have become a personification of what I most wanted to avoid. And what I once thought was grim and dour, I have found to be true and beautiful. There has been more soul-satisfying joy laid at my feet in these past eighteen months than all the months that proceeded it. And it has been a year steeped with grief and deep disappointment. I have not been instructed in the time-tables of bereavement though I doubt it would have had much impact on my heart. I know now that grief comes in waves. It kind of creeps up on you like the tide coming in at the close of a sunny day. Quietly it ebbs and flows until all of the sudden you find yourself standing in a cold, salty puddle. And once again the sorrow is real. Red, puffy, wet face real. In the midst of this I have a joy that I can’t explain or dispel. A friend told me this week that all winter, she would see me and think, “Oh, she must be pregnant. She seems so happy. She has to be pregnant.” I assure you that I am not, but the happiness is real. Because our God is rich in mercy, I have become the paradox I once feared: sorrowful, yet rejoicing (I have to omit “always,” because that wouldn’t be quite true). Even as I type this I am mystified by how the joy born out of suffering is truly greater than the happiness experienced before. This was my state of mind as I began working on the lesson for my weekly Bible study group. We are working through Linda Dillow’s book, Calm My Anxious Heart, and this week’s study was being content with your role. Contentment with my role–my role as a mother of one child on earth and three children in Heaven. How does that work? Here comes the promised quote that I was going to write a brief introduction to, but as you can see brevity is not one of my gifts. And since I desperately need to put my smiling, tear-licking self to bed, I pass this post off to Elizabeth Elliot. If you aren’t familiar with her (it’s high time to make her acquaintance), she is Christian author and teacher who was tragically widowed twice. “One step at a time, over the years, as I sought to plumb the mystery of suffering (which cannot be plumbed), I began to see that there is a sense in which everything is a gift. Even my widowhood. Is that peace a gift beyond a salve for the loss that proceeded it? Could it be the balm for all sorrow? P.S. If you have ever wondered how to help a friend grieve the loss of a child, I must direct you to Molly’s blog. She has started a series called, “How to Help Your Grieving Friend” and it’s brilliant. After months of praying for another child, we were overjoyed to discover that we had conceived. We smiled when we saw a heartbeat and then moments later those smiles dissolved into tears as we were told that that little heart would not be beating within a week. That heart kept beating the next week and the next, but not long enough. Five weeks later, we bid our farewell to the child we never saw. Three months later, we had another little one growing within me and before we were able to share our good news, we were sharing more news of sorrow. Two months later, another positive sign followed quickly by the negative signs. I held the grief in my heart and resolved not to tell anyone. I didn’t want to admit that it had happened again. I didn’t want sympathy, because that would confirm that I needed to grieve again. Yet this baby would not leave quietly. She tried to make a home in a tube instead of the womb that had been waiting for her. The tube could not grow with her, could not contain her life. The strange tumor turned out to be an extremely rare, life-saving clot that covered the place where the baby had broken my body and shed my blood. Not much comfort or conclusion in luck. And now the waiting and the unknown. Everyone wants resolution and even more than that, a happy ending. Sometimes I feel like people are holding their breath around me. Like when you are reading a novel and your protagonist has been defeated three times by her foe and she is in the pit. You are certain that triumph must be on the next page, but you can’t see how she could possibly rise out of this situation. You are tempted to flip to the back of the book. You don’t want to keep reading if there isn’t a happy ending. Well there is no peeking at the end of this book. After months of quiet and waiting, I sense the spectators are getting restless. I am getting restless. There is only so long that we want to be held in suspense. Above all we don’t want silence. If there isn’t a happy ending on the horizon we want to fill in the void with a reason for the seemingly tragic conclusion. Perhaps it’s her body; her body just can’t hold any more babies. Perhaps she is not praying; she hasn’t beseeched the throne of Heaven. Perhaps this is a sign that she is called to adoption; doesn’t she realize that she should be adopting? Perhaps she has sinned; God must have closed her womb. I can’t tell you why there is silence. I can’t tell you why I’m being asked to wait. I also can’t flip to the end of this book. I haven’t been granted a vision of a smiling babe in my arms. I haven’t been given a promise of another child. But I do know that there is a happy ending. I don’t know how that happy ending will look and even more so, I don’t know that I will experience that happy ending in this life. But I do know that on the other side of this weeping and longing, there is a place where there will be no more tears and no more loss and where my family will be whole and complete. So as I sat stupefied last Tuesday over a small probing question, the gifts of peace that have been mercifully poured out on me these sixteen months seemed to dry up. And for the first time in a long time I felt empty. The next morning, I received my answer. I’ve been going to a Bible study with some women in my community and we have been studying Beth Moore’s, “Jesus the One and Only.” We watched a video on The Lord’s Prayer, Jesus’ lesson on how to pray. I left that morning with a renewed conviction that prayer is not about what I am asking, but who I am asking. Oh, if only I was able to fully comprehend the truth of that. Prayer is not the coins that I stick into the vending machine before punching in the code for the item that I want. Prayer is the coming into the awesome presence of the Most High God and laying down my wants before Him, so that I may be filled with Him. Prayer is discovering that what we want most in this world and I really mean most is more of God. More than taking the crib out of the basement, more than putting the infant seat in the car, more than hearing another voice answer Ava back as she serves tea, more than laughing with lots of smiling faces at the dinner table, more than all of those and many other good things, I want to know and be known by God. While I pray earnestly that God would give us more children, and while my prayers often turn into weeping, and while I know that Jesus wants us to cast our burdens on him and to be like the widow who would not give up, I am learning what Jesus meant when he prayed, “Thy will be done” (Matthew 6:10). He is the center of all things. The psalmist says, “Delight yourself in the Lord and He will give you the desires of your heart” (37:4). Prayer is delighting myself in the Most High God and discovering that the desire of my heart is Him. It felt as though Jesus had sent us a pint-sized fairy godmother to sprinkle us with joy and merriment. Five nights earlier, Nate and I sat in the ER and heard words that made all our joy freeze and hit the sterile floors like icicles: Ectopic Pregnancy. Two grim doctors stood in the gray holding cell where we had been kept for the past six hours gripping charts that revealed blood levels of a six to seven week pregnancy and pictures that showed an empty womb and a cyst that was covering the tube that they believed the baby to in. They explained that an emergency laparoscopic surgery was vital and would need to be performed immediately. I just stared at them in utter disbelief. “What,” I wanted to shout, “this can’t be happening. I’m not even pregnant. I’m not. This can’t be right. Look at my chart; I’m not pregnant, I just had two miscarriages. Can I please just go home? And No, no thank you, I’d rather not have an IV. Please put that thing away. Seriously, put it away.” But I simply turned my head as the nurse guided the needle into my arm and quietly asked her to bandage it up so I wouldn’t have to look at it. What she didn’t know was that when my tube was most likely breaking, I was in a Grand Caravan with my cousin and our four little girls driving 1,100 miles across one of the most barren parts of the country. On the first night of our trip, Heather and I accidentally past through Amarillo, Texas without finding a place for dinner. It was another three hours before we found a gas station with a mini-Taco Bell stand. There is nothing, absolutely nothing out there–no gas pumps, no drinking fountains, no Paneras, no Starbucks, certainly no hospitals, just desert brush and road signs. When I consider the rarity of the cyst and the desolate territory that I had traveled through, I know beyond all doubt that the Lord touched me and sustained me. In these darks shadows of sorrow, I have an undeniable sign that the Lord has given me life and that he wants me alive. Why He chose to spare my life, but not the life of this baby or the other two babies; why He allows me to conceive only to take these babies to Heaven; why three of my four pregnancies have ended in surgery; how three babies could come and go before the first baby’s due date–these are the questions that I wrestle with as the long hand of the clock pushes further into the night. That His steadfast love is better than life is the hope that I have wrapped my arms around and cling to. That I am His and He is mine–no turning back. That He is the tower that I can run into and hide in as the storm rages outside threatening to tear down the walls and destroy me. Yet, I will not drown; I will not be consumed; for, he went down into the dark and silent grave and broke free shining like the sun to rescue me, to give me hope. I will awake from this dark night and I will sing in the morning. Thank you for my Ava-Ava, Ava-Ava, Ava-Ava. Thank you for my Ava-Ava, my fairest Lord! Let Your steadfast love, O Lord, be upon us, even as we hope in You. Daddy: Ava, I have good news for you. Jesus heard your prayers and he has answered them. Ava: Oh, yay!!! Oh, mama, there’s a baby in your belly. Oh, I love the baby. I’m so happy. I’m so happy there’s a baby in your belly. Can I kiss the baby? I wanna kiss the baby. I love the baby. I will take good care of the baby. Dear Jesus, please don’t let this baby die. Amen! Jesus will take care of the baby, Mama. I love the baby SO much! Mama: Ava, I have to tell you something very sad. There is no baby in Mama’s belly. I sit this evening as I have sat for the past week with my hand placed over my mouth. What seemed to be the balm to comfort our not-yet-forgotten sorrows and a beautiful answer to the earnest prayers of a child has seeped away. This news brought more visits to the waiting room full of women round with promise. I took my place next to neatly stacked issues of Fit Pregnancy and stared hard at a flat stomach that feels more like a tomb than a home. I am hallowed out. The emptiness has begotten sorrow and in it I find that I am speechless. My sorrow is less for my empty arms than it is for my daughter’s empty hand. “Sammy and Anna go together, don’t they, Mama,” she said to me this afternoon at her friends’ house. “And Michal too. They all go together, don’t they? And Ava. Ava doesn’t go with anybody.” Yesterday, she explained to me that Corrinne and Rachel were sisters, and wanted to know if she could be their sister too. A few weeks before that, after discussing the relationship between her friend Ruthie and her younger sister Lydia, Ava asked me if Lydia could go in my tummy and then become her little sister. How I long to give her what I am powerless to give. How can the Lord not want for her, what seems so good for her? The brokenness that pushes out from my chest does not come from seeing the curve of an expectant mother or feeling the soft fuzz of a newborn, but from the framed picture of the smiling brother embracing his sister, from the glimpse of a girl in a shopping cart lifting her sister’s braid to whisper a secret, from the sight of Ava ringing around the rosies–her hands outstretched and clasping the plastic hands of a dolly. This past year I have daily heard the faithful prayers of my two-year-old beseeching Jesus to “put a new baby” in her mama’s belly. I have watched a sweet friend hover over an infant son, whose sad, little heart was cut open, pieced together with artificial walls, valves, and rhythmic mechanisms, left open for days, pumped full of medicines, and finally stitched up to salvage the “unique among the unique.” I have listened to a beloved cousin face the frightening implications of “genetic disorder.” I prayed along with hundreds others for a baby boy whose illness mystified medical professionals, and then watched in wonder as his parents surrendered him before the Lord. And I find myself quiet, very quiet. There are no good, satisfying answers here; there are not even questions. Be still and know that I am God. I stand awestruck and silent–the holiness of God is indeed fierce and terrifying. I wait for the Lord, my soul waits, and in His word I hope. That God is good. That He is true. That He is kind and loving, merciful and just. That He loves Ava and Nate and me. That, that is my hope. That is my only hope. Apart from that I have nothing. Yes, we have said goodbye to two babies in five months. And yes, there are far greater sufferings than these. Yet in these sufferings the Lord remains beautiful, mysteriously beautiful and wonderful, unfathomably wonderful. So I hold my sadness in my hand, cover my mouth and behold His majesty: Blessed be Your glorious name, and may it be exalted above all blessing and praise. You alone are the LORD. You made the heavens, even the highest heavens, and all their starry host, the earth and all that is on it, the seas and all that is in them. You give life to everything. Blessed be Your glorious name. "Mama, let's just lie here and talk about the things that we like to think about in our brains."